True or false: using best efforts to accomplish a goal means that you are required to do everything in your power to accomplish the goal. My mother always answered this question as “True”, when it came to my studying in school. Many lawyers and contracting parties agree with my Mother’s definition of “Best Efforts” when applied in a legal contract context, even if accomplishing the goal requires a contracting party to spend its last dollar to accomplish the goal. My passing the Ohio Bar Exam indicates my mother was right regarding best efforts and studying, but case law indicates that most lawyers would be wrong regarding the interpretation of “best efforts standards” in real estate and business contracts. As a general rule, courts have not required that a party under a duty to use “best efforts” to accomplish a given goal, make every conceivable effort to do so, regardless of the detriment to that party. (See Kenneth A. Adams, Understanding Best Efforts and its Variants, Practicing Lawyer, August 2004, and cases cited therein). In spite of the intent of the parties, courts across the United States have, for the most part, suggested that the phrase “best efforts” (as well as variants of this phrase including “reasonable efforts”, “commercially reasonable efforts”, “reasonable best efforts”, and “diligent efforts”) mean with respect to a given goal: “the efforts that a reasonable person in the position of the promissor would use so as to achieve that goal as expeditiously as reasonably possible”. Id at 18. In other words, an agreement to use “best efforts” merely requires that all reasonable efforts be made. This “watering down” of the meaning of the phrase “best efforts” in express contracts is also consistent with the Uniform Commercial Code’s treatment of same in the context of implied contracts. The official comment to U.C.C. Section 2-306(b) (2) states that the implied obligation to use best efforts requires that parties “use reasonable diligence as well as good faith in their performance of the contract”. See Id at 13; U.C.C. Section 2-306(b) (2) Official Comment 5. We often see “efforts clauses” in two basic types of contracts. In commercial contracts, these clauses often appear when defining the efforts one is required to use to sell a particular product or to follow-up on leads provided by one’s employer. In real estate contracts, efforts clauses are often found in purchase agreements regarding the efforts required of a buyer to have a particular property rezoned, or to obtain financing, or to secure site and building permits. Efforts clauses are also usually found in the remedies section of a commercial lease, requiring that the landlord use a certain degree of effort to mitigate its damages and re-lease the premises after a tenant default. 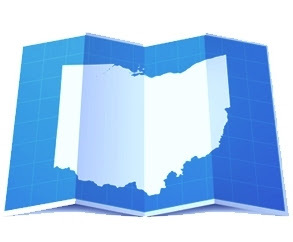 Ohio follows the general rule of most jurisdictions in interpreting best efforts to mean merely requiring reasonable efforts be made (vs. the plain language definition of “exceeding all others in quality”). In Permanence Corporation v. Kennametal, Inc., 908 Fed. 2d 98 (6th Cir. 1990), the United States Court of Appeals for the Sixth Circuit best summarized Ohio’s view by providing: “[w]hile the phrase best efforts is used to describe the extent of an undertaking, this has properly been termed an extravagant phrase…a more accurate description of the obligation owed would be the exercise of “due diligence” or “reasonable efforts”. In Castle Properties v. Lowes Home Centers, 2000 Ohio App. Lexis 1229 (7th District 2000; an “efforts to rezone property case”), the Court concluded that the buyer was not required to use all efforts to have the property in question rezoned, because the word “all” was limited by the words “commercially reasonable”. In Adams v. LCI International Telecom Corporation, 2000 Ohio App. Lexis 3220 (10th District 2000), the Court totally disregarded the use of the phrase “best efforts” in the context of obligating a sales agent to use best efforts to supply leads for business customers and organizations. The Court in Adams concluded that a “carve out” provision in the contract, specifically relieving LCI of any liability or responsibility for failure to pursue leads, negated the more general “best efforts” standards. The practical moral of this story is a familiar one: “say what you mean, precisely, or a judge will tell you exactly what you meant”. The emphasis should be put on “precisely”. In other words, if you intend for a party to a contract to expend his or her last efforts and bottom dollar to accomplish a goal, don’t use the phrase “best efforts” because it will not be interpreted that way. The best (reasonable) approach when drafting contracts with an “efforts standard” is to specifically define the effort required, and add “carve-ins” or “carve-outs” to the defined standard. For example, in the afore-mentioned “efforts required to rezone real property example”, including objective standards such as: (i) a time deadline as to when applications need to be made; and (ii) the extent of zoning application required (such as appearing before a Board of Zoning Appeals, preparing a marketing campaign, and initiation of the zoning issue on a community ballot) would be much more advisable than using a general efforts standard. In the afore-mentioned lease example, a commercially reasonable efforts standard should be accompanied by specific carve-in requirements such as: retaining a broker, advertising the space for lease, offering the space to existing tenants, etc. The landlord in this example may want to negotiate for “carve-out facts”, essentially limiting the efforts the landlord will need to make to mitigate its damages, such as putting the property in the hands of a broker, and the right to reject tenants who don’t meet the tenant mix of the building. As a practical matter, case law suggests that contracting parties and their lawyers should not spend a lot of time arguing whether or not reasonable vs. best efforts should be expressly required in a contract, because they have been essentially interpreted as the same. Rather, the parties should use best (I mean, reasonable) efforts to identify the specific efforts required to accomplish their goals.